Day 4 of Bling Week is here. I wish "Sparkling Garbage" was some clever title that I invented for this post. Actually, I can't take credit for it. 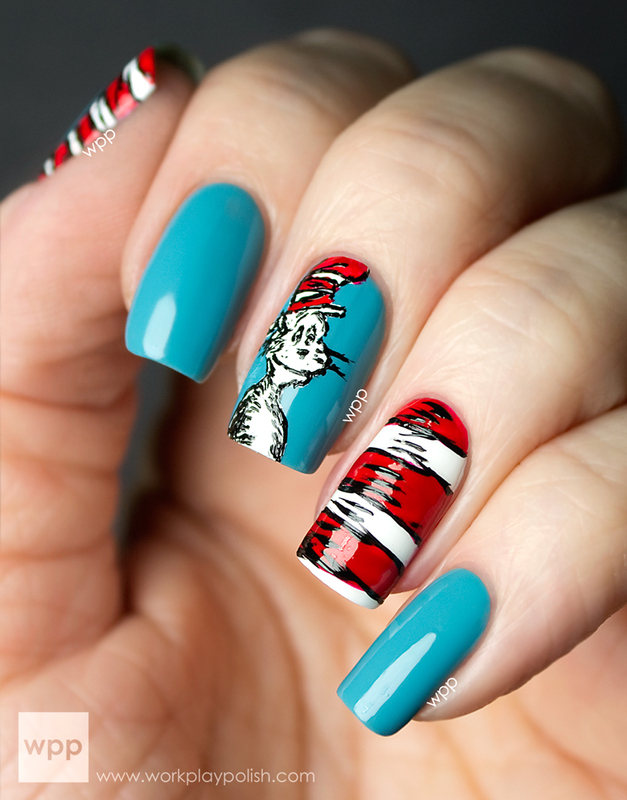 It's the name of the Orly polish I used for this mani. Sparkling Garbage is from the Orly Summer 2013 Mashup Collection - which is on my short list to swatch! 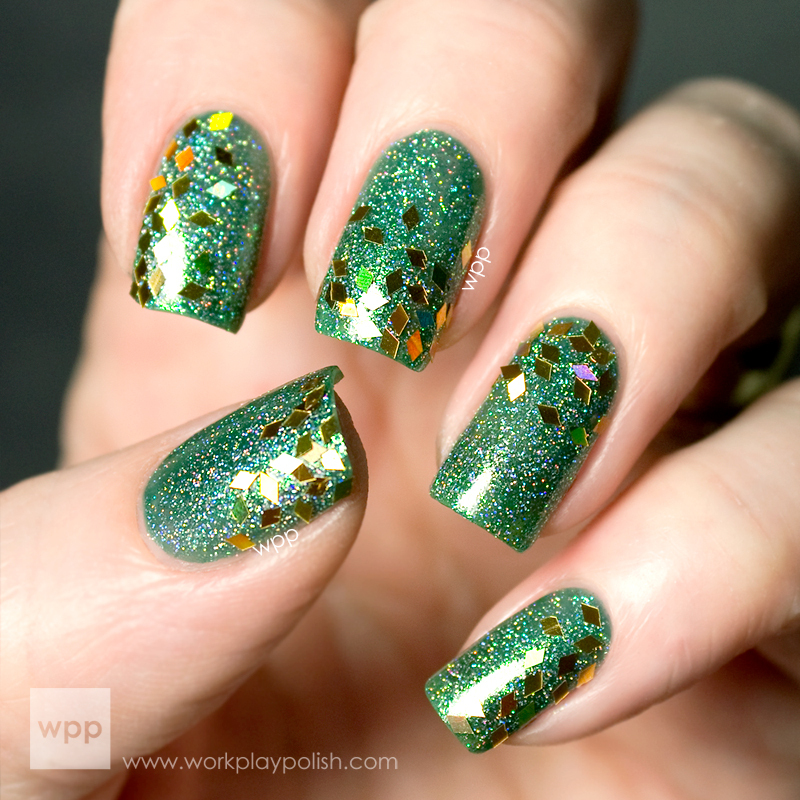 Sparkling Garbage has tons of holographic glitter suspended in a green tinted jelly base. To give it some more color, I used two coats of Zoya Ivanka (which is a bit sparkly too). Then I took diamond-shaped, gold holo glequins from an Essence Nail Art Decoration kit and randomly placed them on each nail in loose gradients starting from different directions. 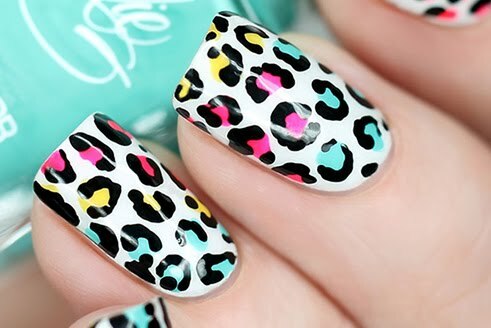 I used a dotting tool to pick them up and set them down into a coat of Seche Vite. I purposely didn't cover the glequins up with topcoat because having them lay at slightly different angles on the nail made them reflect more light. If I'd topcoated the look, I don't think the smooth finish would have been so blingy. This is seriously WAY more sparkly than the pictures show! Orly Sparkling Garbage is so unique. But I'll save my fawning over it for the swatch post! So four days down, one to go! Click the link below to see the other day four looks from the rest of the Digit-al Dozen.